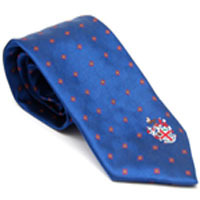 RCVS gifts - end of stock sale now on! Our RCVS gifts range has exclusive use of the RCVS coat of arms on gifts to celebrate your milestone events, from registration to retirement. To place an order visit our secure online shop or complete a Merchandise Order Form which can be found in the 'Related documents' box and return it to us. The RCVS Knowledge has a number of duplicate or surplus titles available in-house for purchase. Pre-1900 titles are available for as little as £10; with post 1900 titles starting at £2. A list of the Pre-1900 titles is available in the ‘Related Documents’ section. Post 1900 titles are available from our online Amazon bookshop. Books are in good condition, unless otherwise stated. Prices are exclusive of postage & packing. Please contact us for the postal charge for your selected books. All proceeds will go to the RCVS Knowledge to purchase new books to support the veterinary profession. Books can be purchased securely online or by contacting the Library directly. Online: Visit our Amazon bookshop. By telephone or email: Select your items from the list and contact us by phone 020 202 0721 or email library@rcvsknowledge.org and pay by credit card, between 10am - 5pm Monday to Friday.